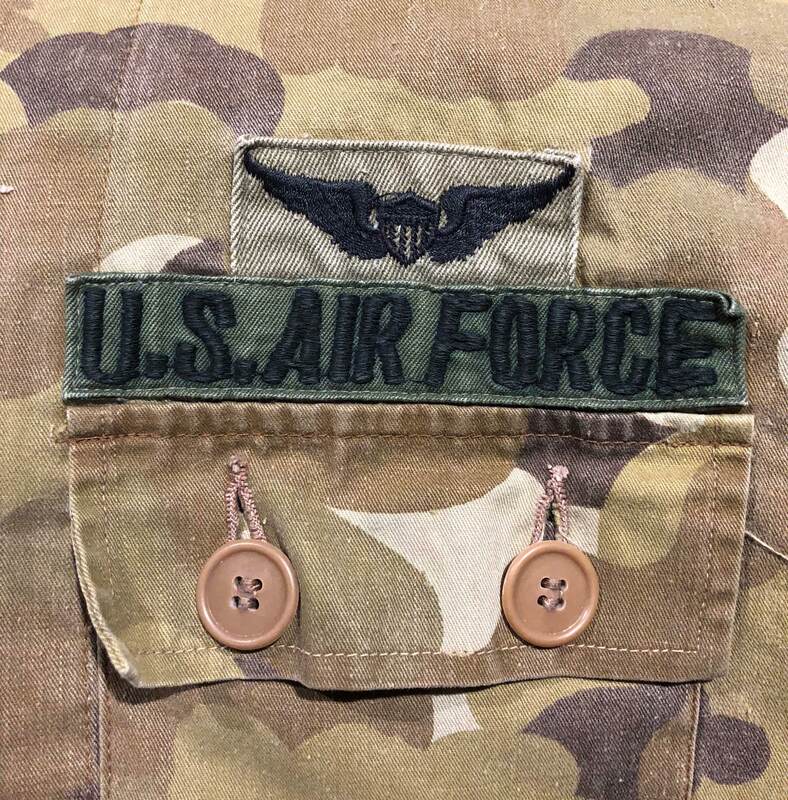 Army Aviator badge but USAF Branch tape. 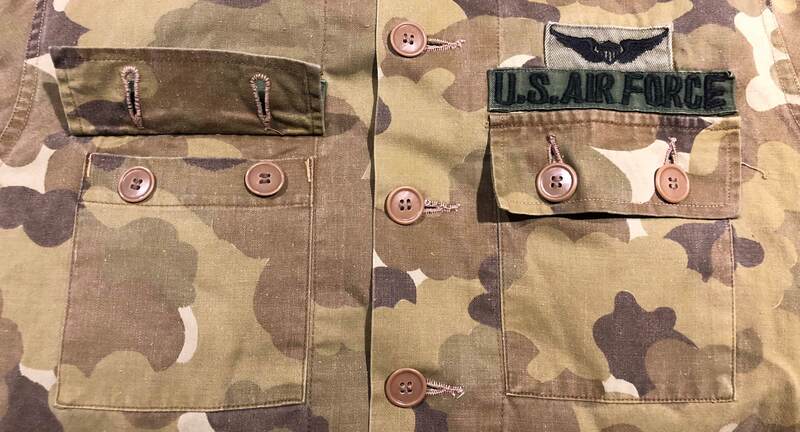 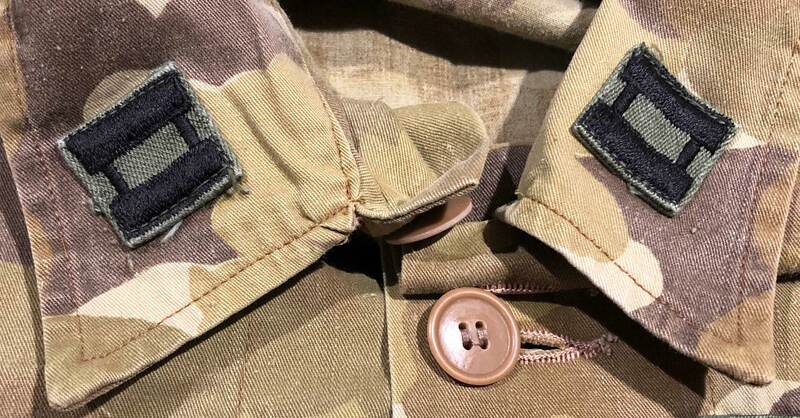 Patches appear to be original to uniform and have been attached for a long time. 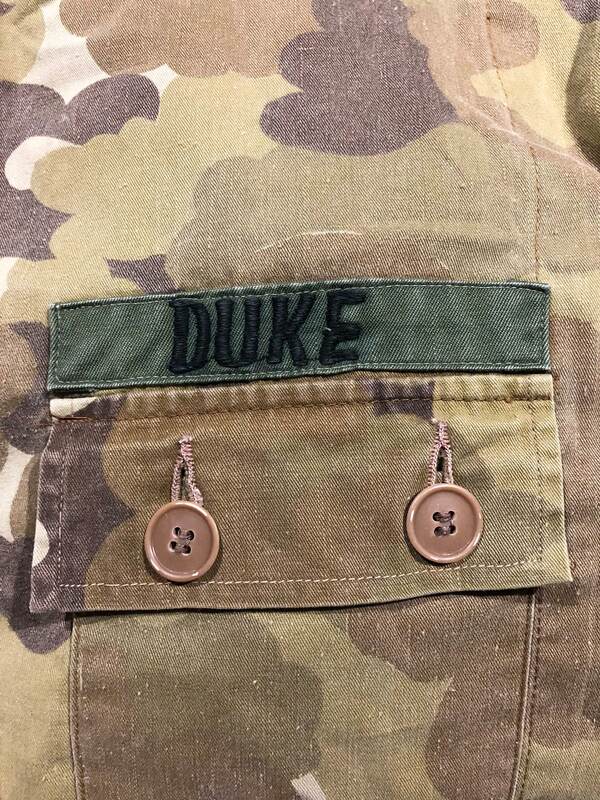 Only marking is a red handwritten 8 on the back under the collar. 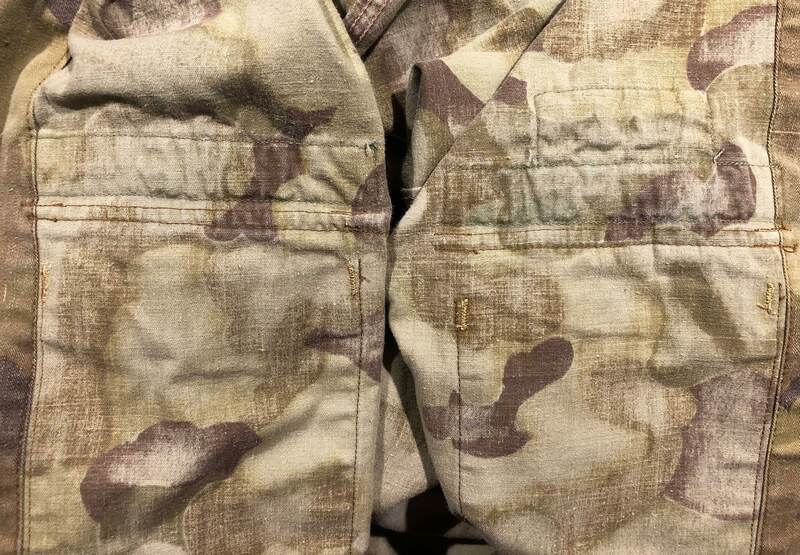 Similar US cut as Late War Lightweight Tiger Stripes. 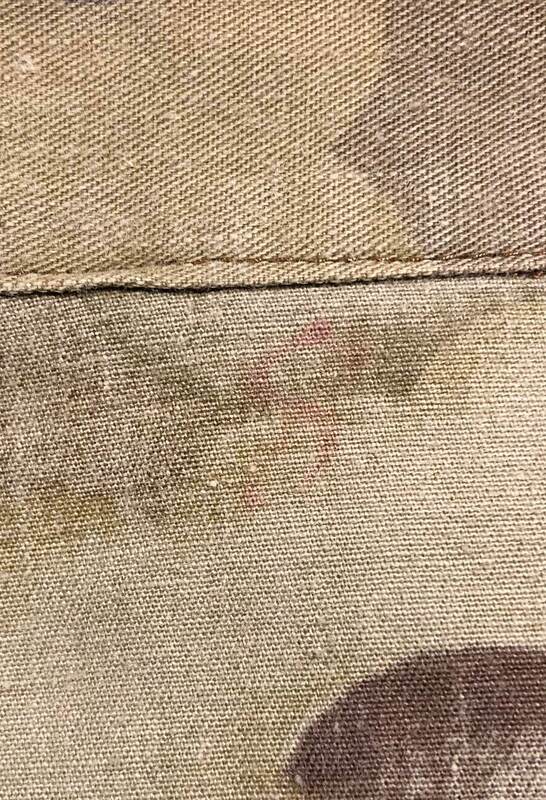 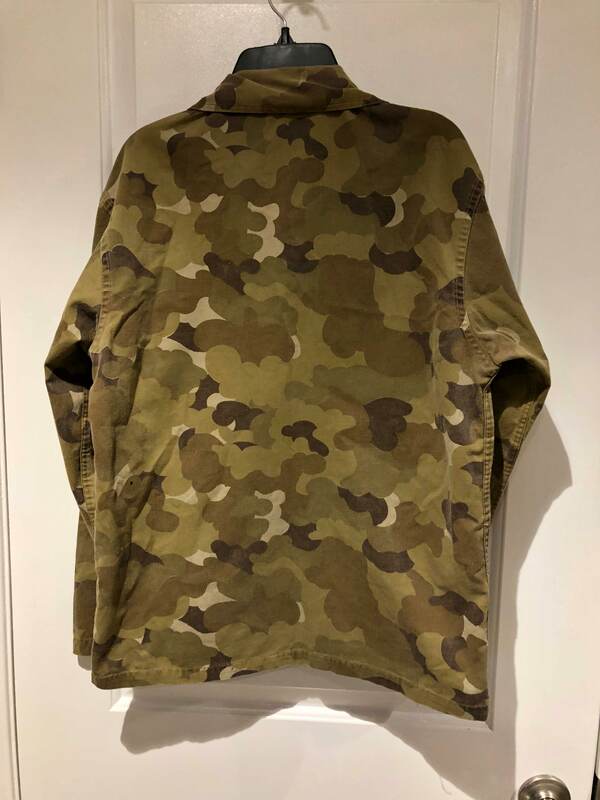 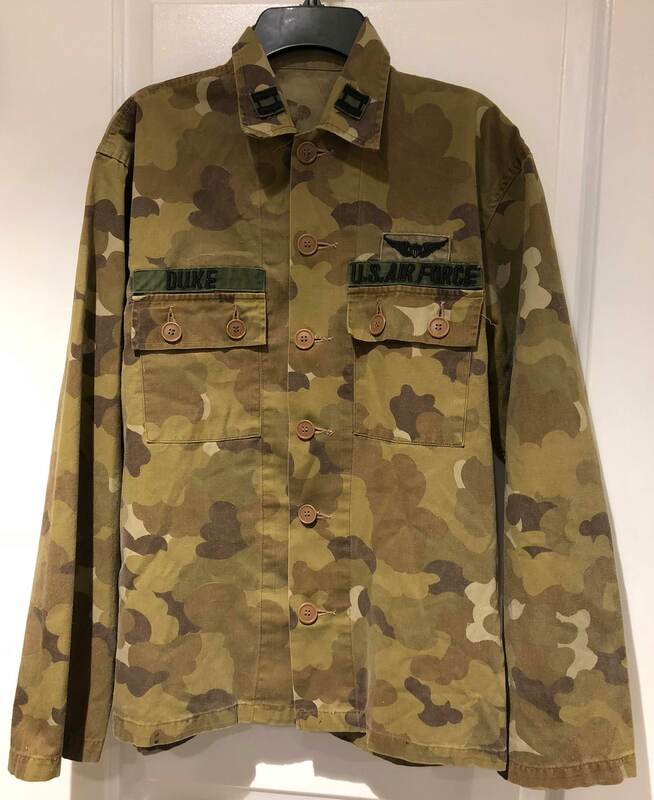 The pattern is similar to the “back” side of the Mitchell Vine Leaf Camo shelter half and was mainly used by South Vietnamese Police Field Force (CSDC).